The Glens of Antrim, are known simply as The Glens here in Northern Ireland. The Antrim Glens are located (not surprisingly) in County Antrim, Northern Ireland. 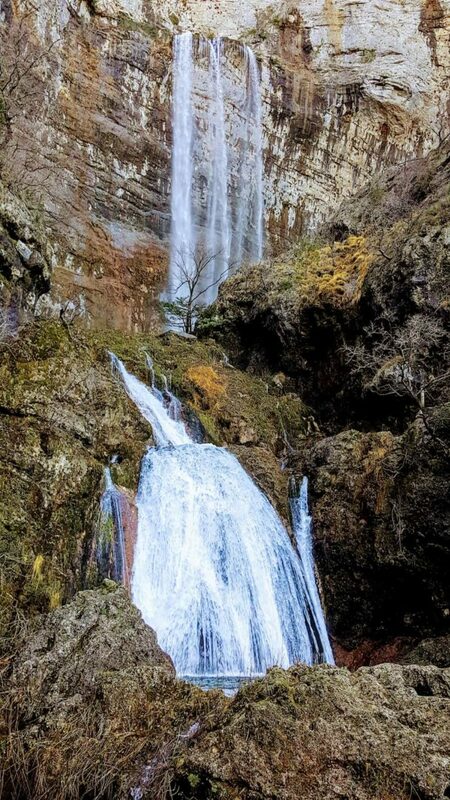 Touring and visiting the Glens is something that many tourists to N. Ireland miss as they are so busy trying to see the Giant’s Causeway or the Carrick-a-Rede Bridge. If you are visiting Northern Ireland (or Norn Ireland as is said locally) you really shouldn’t pass up a chance to visit this area. The Glens of Antrim are an area of outstanding natural beauty (AONB) and a major tourist attraction along the Causeway Coast. Words don’t do the area justice from the views of Donegal in the west to World Heritage sites like the Giant’s Causeway, a road trip through the Antrim Glens is a must when visiting Ireland. Members of my family have “discussed” their favourite aspects of N.Ireland for many years. For my Uncle Arthur, it was always the Glens of Antrim. I have to add here that they pronounce it Ant – Rim…lol..that Northern Irish accent ya know. My dad was always a fan of the rocks and fishing at Port Stewart, he spent many happy years there fishing as a kid. Personally, I am in complete awe of both areas. The nine Glens of Antrim have held my heart for many years and I marvel at their stunning beauty. The Nine Glens of Antrim run from Larne in County Antrim, which is on the east coast of Ireland almost a direct run from Ballymena where my family hails from. We begin our route through the Glens of Antrim from here as the Glens begin just to the north of Larne on the edge of the Antrim Plateau where the glacial valleys of the glens sweep down to the sea. From Larne, you can see the Mull of Kintyre across the stunning sweep of the North Channel of Ireland. This was the route that many Scots took when the plantation of Ulster began. The legend of Glentaisie is that of ‘The Children of Lir’, who were turned into swans by Aiofe the jealous second wife of their father. They were cursed to wander for 900 years singing to all who would listen. The curse was lifted when St. Patrick came to Ireland and brought Christianity with him. It was the sound of the Christian bells that broke the curse. If you are in the Glentaisie or Glenshesk area it an easy trip to the Giant’s Causeway the only UNESCO World Heritage Site in Ireland. 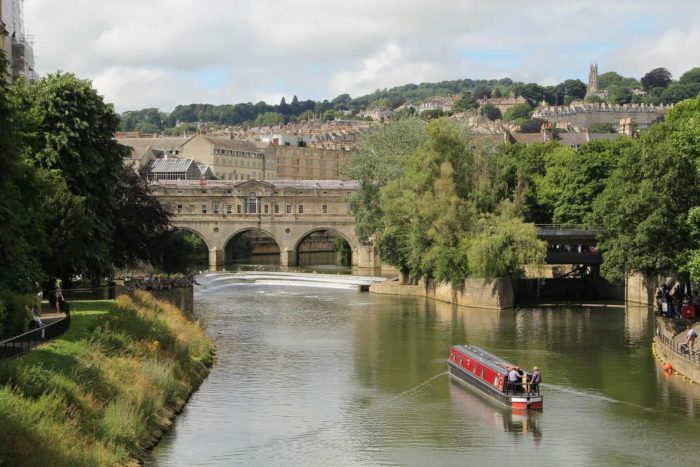 Corinne of ReflectionsenRoute has a lovely post all about the Causeway – just click here. 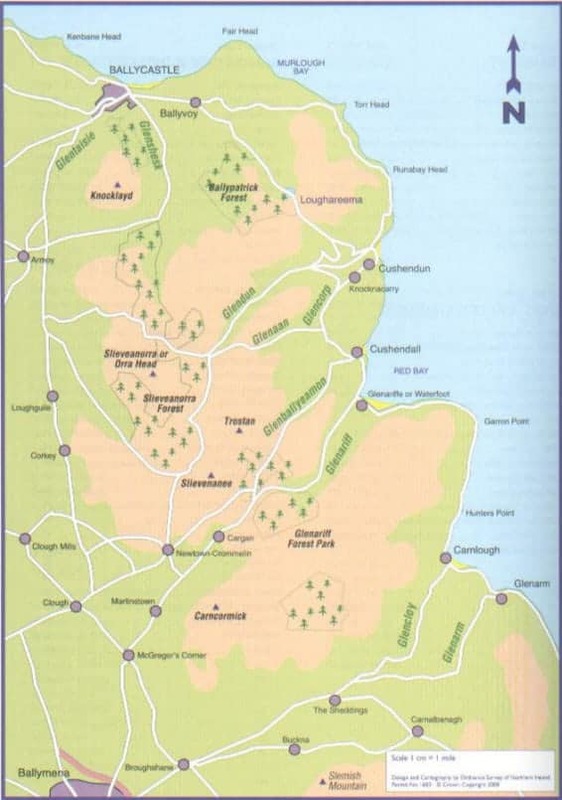 In 1565, there was a great battle in the Glen between the O’Neill’s and the Scottish MacDonnell’s. Sorley Boy MacDonnell had called in reinforcements to support his efforts in Antrim against the O’Neills. The battle resulted in Sorley boy’s brother James and Angus’s deaths and Sorley boy was taken, prisoner. 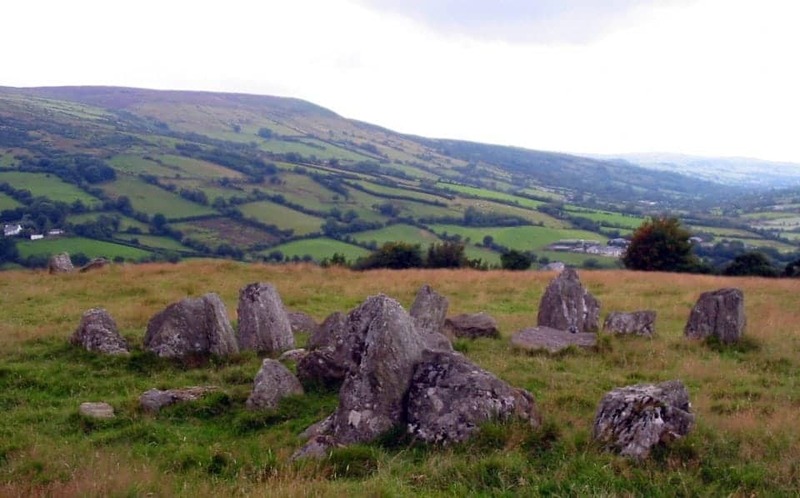 Glendun holds many secrets including “The Altar in the Wood which is hidden in Gregagh Wood. This altar is a rock carved with a crucifixion scene and it dates to the 16th century when the penal laws forced Catholics to attend mass in secret. 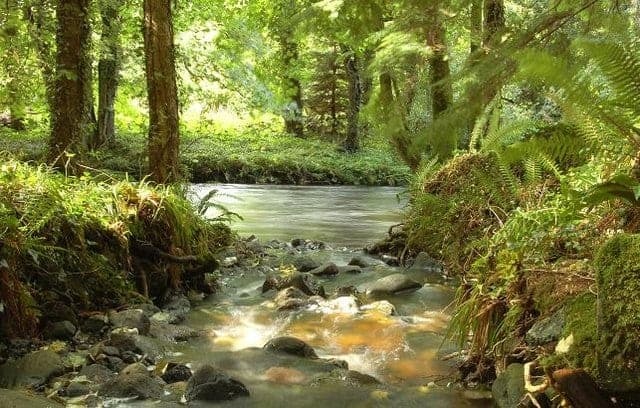 Glendun’s name means ‘brown glen’ it is a deeply peaceful place with the largest area of woodland in Northern Ireland. Glenshesk opens out to the sea near Ballycastle with superb views of Rathlin Island and the Mull of Kintyre, which can be spotted on clear days. Glenshesk means the “glen of sedge” or reeds and it is a wild and untamed area. 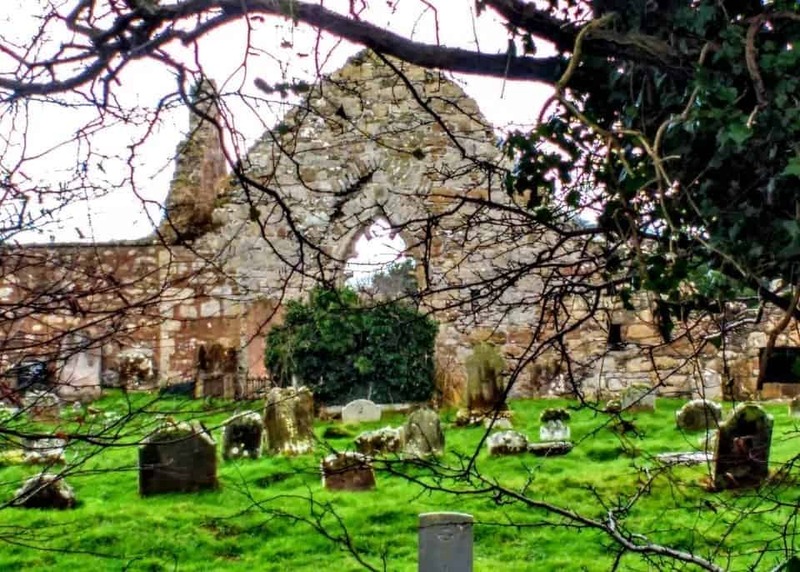 Just outside Ballycastle lies the ruin of Bunamargy Friary, which is famous for its “Black Nun”. The nun wished to be buried at the entranceway of the chapel so that “she might be trodden under the feet of all who entered”. 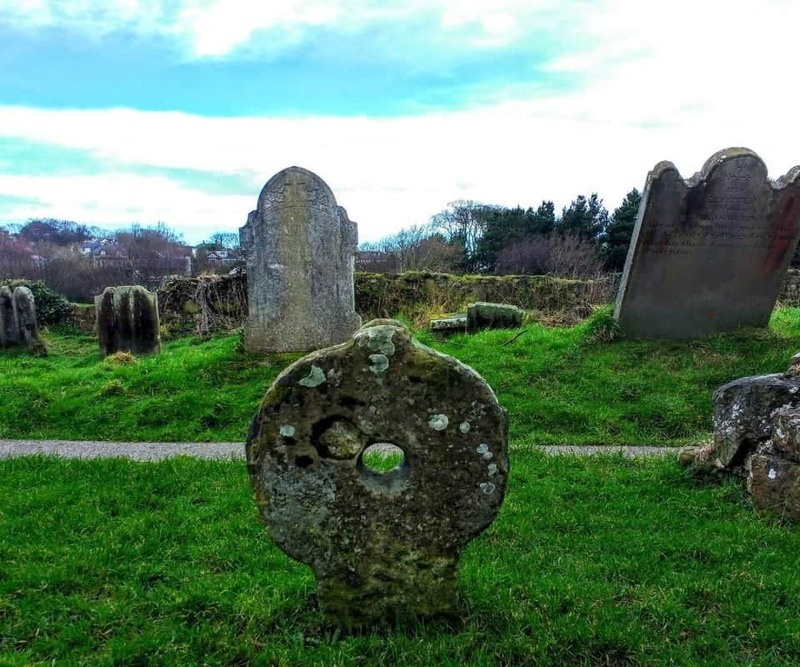 Her grave is marked by a round holed cross the only one of its kind in Ireland. Glencorp means the “glen of the dead” or “glen of the bodies”. More than likely because of the history of early Christian farmsteads and raths that were often attacked and only the bodies remained. There is a mound called the “Fort” in Fainaglass but it has now been identified as a Bronze Age barrow burial mound that dates from 2500 to 500BC. Glenaan means the “glen of the little fords” and there are many remains of wallsteads (ruined walls of an old house) and the abandoned village of Knockban, which was deserted in the 19th century. There is no farming left in the area although peat is still cut by hand for the fires, the self-sufficiency of the past is long gone. This glen is also the site of Ossian’s Grave. The grave is a double-chambered horned cairn. Legend has it that Ossian was a great poet and warrior who was the son of Finn, the leader of the Fianna brotherhood. We attempted many years ago to find Ossian’s grave but ended up in a field of sheep with nothing to be seen. I would imagine that today it would be better marked and easier to find. Fancy some great local Irish foods? Check out Indie Fude in Comber Country Down. This Glen’s name simply means the “glen of Eamon”. 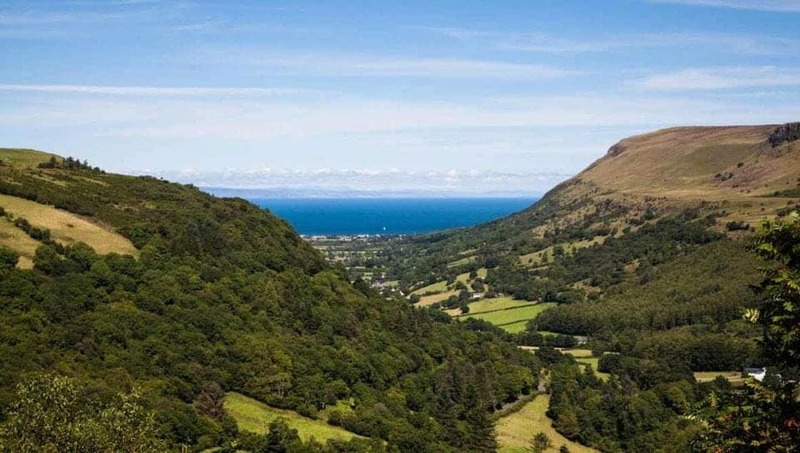 It is often called the heart of the Glens this deep, wide glen sweeps down towards the village of Cushendall, often called the heart of the glens. 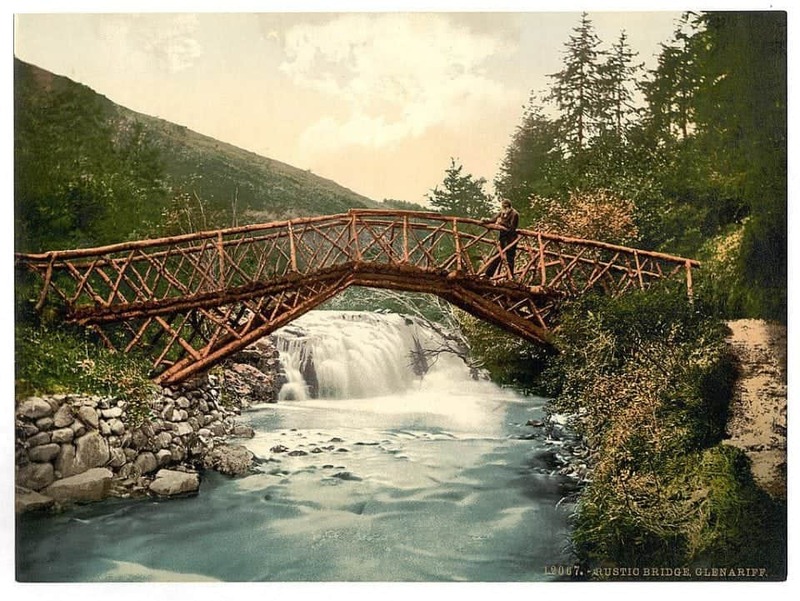 Due to its preponderance of beautiful waterfalls in the Glen Cushendall was one of the first places in Ireland to have electricity generated by the rushing waters. The Glen flows down the slopes of the Trostan Mountain, which is the highest mountain in County Antrim, between Lurigethan and Tievebulliagh. There is a promontory fort on the summit of Lurigethan that is enclosed by a series of ditches and banks. There is also a famous Stone Age Flint Factory where many fine examples of axe-heads have been uncovered. 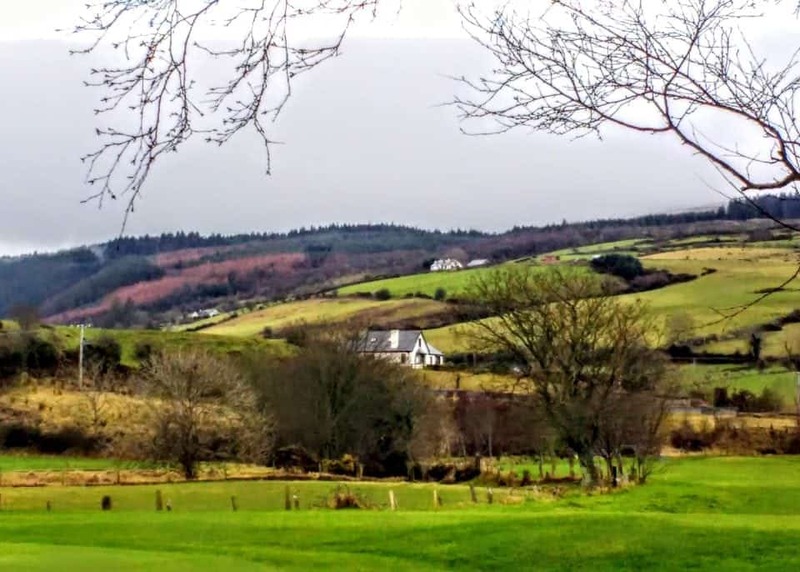 The “Glen of the Army” is the most southerly of the glens and has at its end the town of Glenarm. Glenarm is also home to the estate of the Earl of Antrim. This area is home to the MacDonnells since the 1600s. The body of Shane O’Neill (from the Battle at Glentaisie) is said to rest here, but it is without his head which legend has it was sent to Dublin Castle to be displayed on a pike. Glenarm Castle, dating from around 1750 with early 19th century alterations (Restored around 1825) lies near the village and the Antrim estate extends up the Glen for about four miles on both sides of the river. Near the castle can be traced the remains of the old church Templeoughter, the upper church. There are a few Iron Age raths and souterrains in the Glen and some late Stone Age Wedge Tombs that indicate settlements for thousands of years. A souterrain is an underground burial chamber that you are able to tour with a guide. The chamber is on private land so the farm owner Tommy conducts these tours for £15, which includes snacks. Glencloy is shaped like a sword and its name means the glen of “the dykes”. The glen sweeps out to the Irish Sea at Carnlough and is surrounded by white chalk quarries with the distinctive landmark of the White Arch over the coast road near the harbour area. Excavations nearby have discovered that the area has been occupied from around 4000BC. There are Norman mottes or mounds that once held the forts of Doonan and Dunga Mollan. 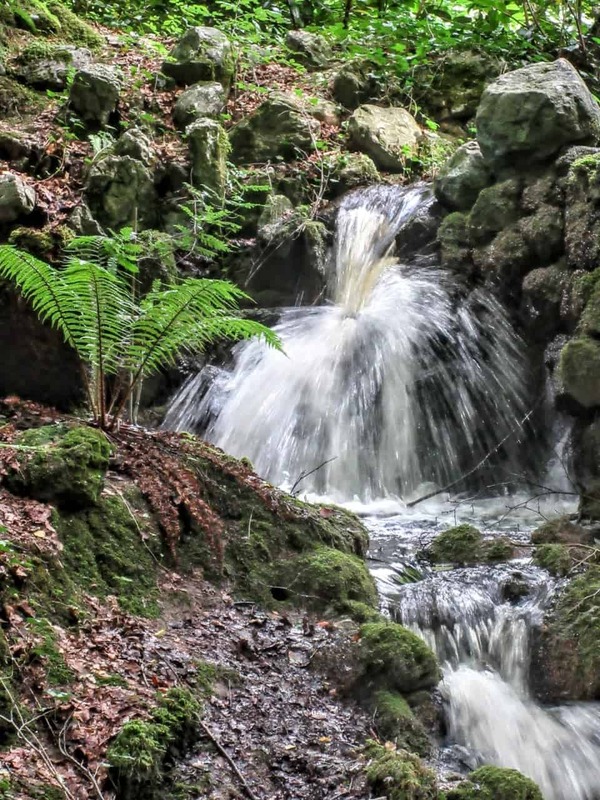 Glencloy is home to the beautiful and dramatic Drumnasle waterfalls are approached by a passage called ‘The Goats Parlour’. At the end of this path is Tubberdoney, a blessed well believed to cure eye-related problems. From the great headlands of Drumnasole (‘the ridge of light’), the Antrim Scots communicated with beacon fires to their kinsmen across the sea of Moyle. 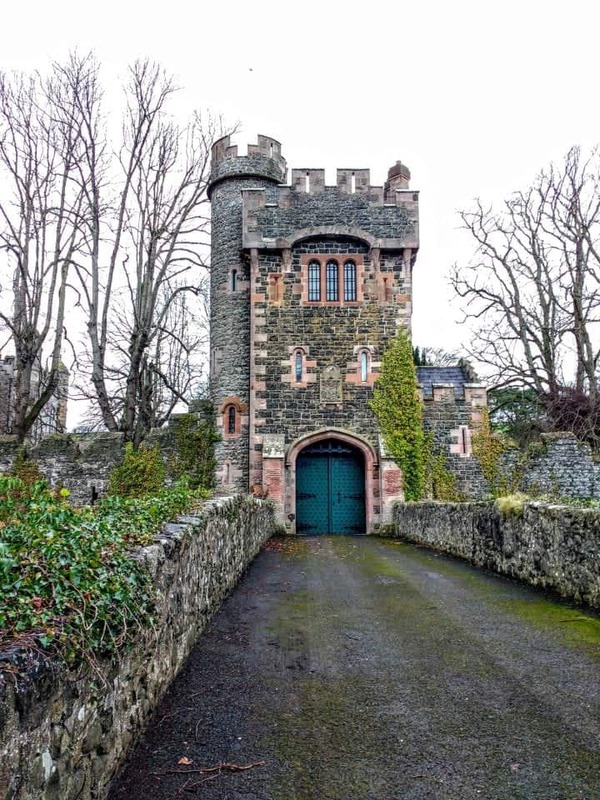 Well hidden from the passing road is a place called Garron Tower or “bridbuilt” which was the summer home of the Marchioness of Londonderry. 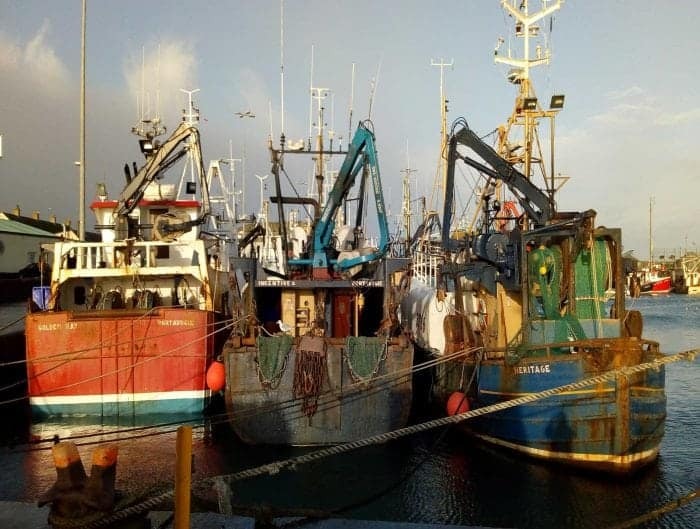 The Marchioness built the harbour at Carnlough, which was used to ship limestone from the Glencloy quarries for many years until silting in the harbour became a problem for the deeper hulled boats. 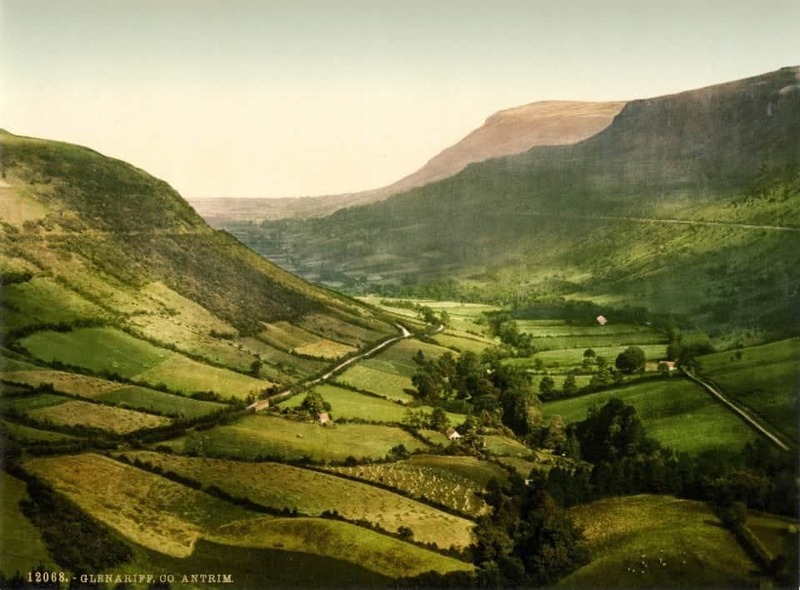 Also known as the “Queen of the Glens” Glenariff, means ‘Glen of the plough’, it is a perfect u-shaped valley with ladder farms, spectacular waterfalls, and peat stained rivers and streams. The glen runs down to the sea at the tiny village of Waterfoot. 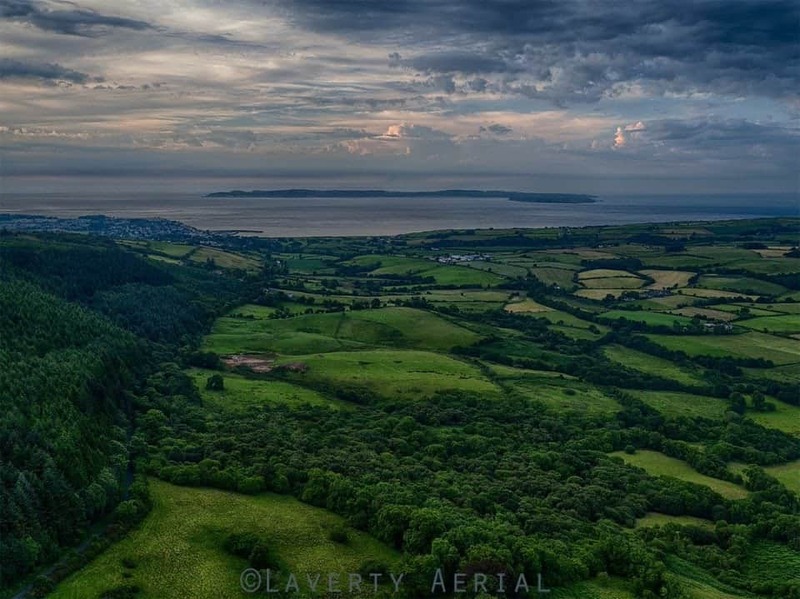 The Glenarrif nature reserve Forest park has some jaw-dropping view across to the Scottish coast and an incredible walking path following the Moyle way up to Ballycastle. The tour of the Glens will end around Ballygally where you should be sure to check out the Ghost, which has been around for 400 years. Reputed to be the Lady Isabella Shaw who was locked in her room by her husband James for not producing a male heir. The tale says that she had given birth to a girl and while trying to escape from her room to find the child she fell from the tower window of the Castle. If you are feeling very brave, you can book the “Ghost Room” at the Castle to see for yourself if the legends are true. The Glens host several festivals throughout the year if you get a chance to take them in grab it. 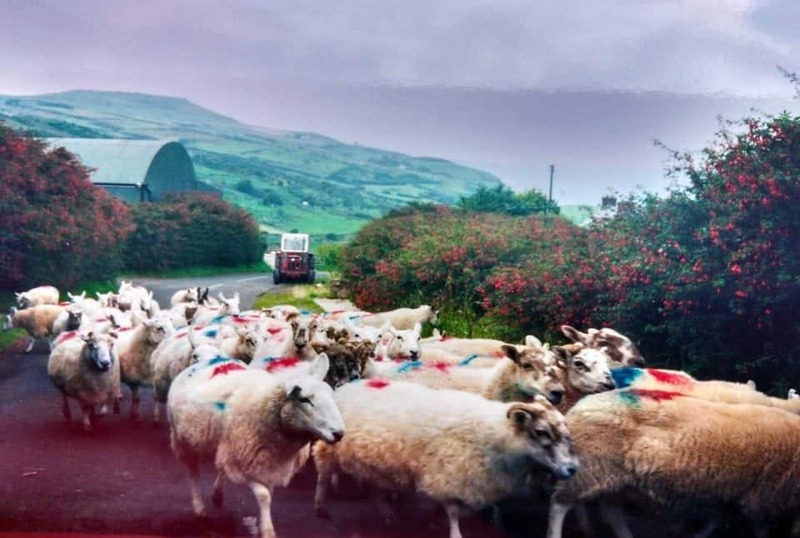 There is the Feis of the Glens, which has been held since 1904 this festival is the most famous cultural event in The Glens of Antrim and has been running since 1904. It is a celebration of arts and crafts, field events, language, poetry, singing and dancing which takes place over various dates throughout June and July. 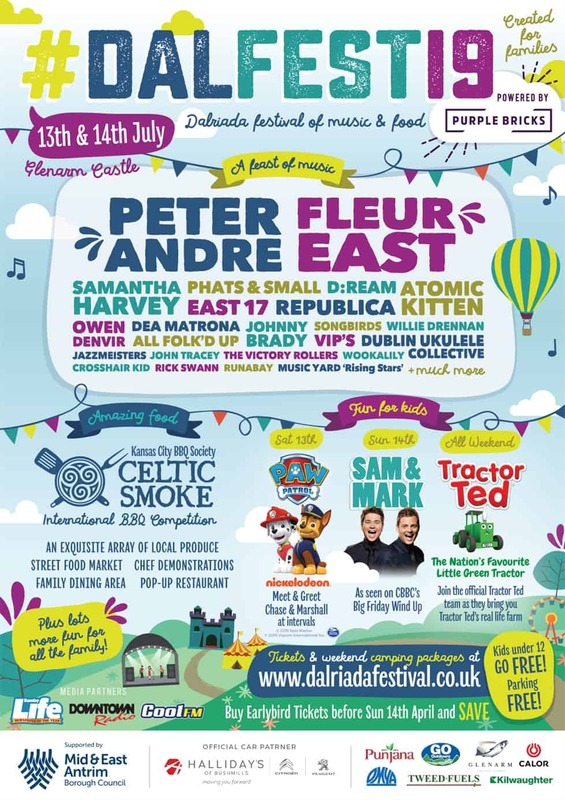 The Dalriada festival which is held in the summer at the Glenarm Estate. 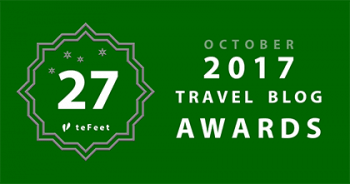 One of Ireland’s biggest cultural and heritage festivals celebrating the unique sporting, food and music cultures of both Ireland and Scotland. The Dalriada Festival reflects this shared heritage right back to the ancient kingdom of Dál Riada and beyond. The Festival aims to share local traditions and talent and renew a passion and belief in our own local area, its people and cultural heritage. There is entertainment for all. From Fine foods, arts and crafts, open-air concerts and live music to children’s entertainment, fun and games. The Glens of Antrim have an abundance of quality accommodations to suit all needs. To find a comfortable place to put your head down visit Discover Northern Ireland for information. You can also contact Visit Causeway Coast and Glens and many of the villages and towns along the route have tourist offices or heritage centres that would be pleased to provide you with as much information as you need. Did you have a favourite, Glen? How gorgeous this looks like! I’ve never been to Northern Ireland but I’ve been told it is really beautiful there, so I guess it would be smart to plan a trip! I made my first trip to Northern Ireland back in April and wish I would have had more time. I’d love to explore these glens! They’re beautiful!! It’s a shame most tourist miss this part of the country – but it makes Ireland so worth coming back to time and time again and so much is changing here as well. It’s the best place in the world to come back to. 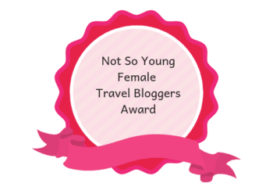 I’m glad I saw your blog, as it will be a wonderful resource for when I’m going on my roadtrip to Ireland. Beautiful photos and very informative, thank you! Thanks for that – I hope to have covered a great deal more of the North before I am done. I am pretty lucky getting to live here for 6 months so I can go beyond all the standard overtouristed spots and places to see. Such stunning and vibrant natural beauty. I would love to explore more of these glens. I think I traveled through these on the way back from Giant’s Causeway and I would have loved to explore more!! I’d love to do this kind of tour! I’ve only briefly visited Northern Ireland but getting lost in the beautiful countryside is a must for the future. to cross carrick-a-rede the North is so much more than that. Ireland is gorgeous! I would love to visit someday and do a coastal drive! photos are beautiful too! Amazing! I have not heard of these and totally missed them on my trip to Ireland! I will definitely try and make it here on the next trip! 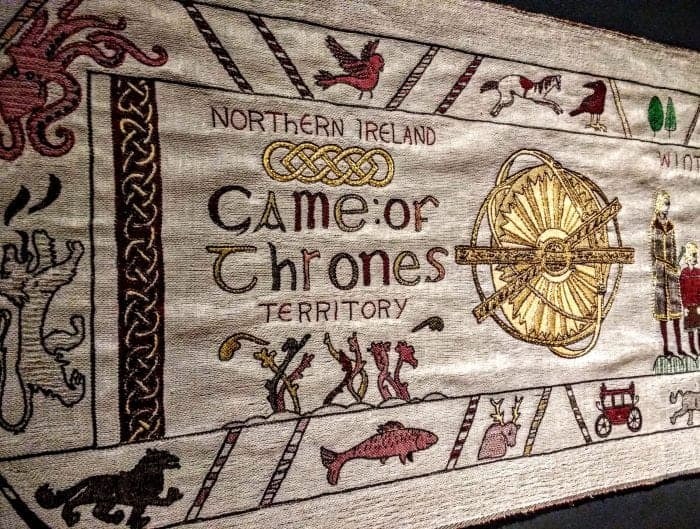 Oh wow such a stunning part of Ireland, i was there in Northern Ireland last summer but I only did some of the Game of Thrones film locations, after reading this i need to sort out another roadtrip adventure to these glens. This is just lovely! I just spent a couple of days in Belfast and really enjoyed myself. Can’t wait to explore Northern Ireland some more. I love Northern Ireland. I have been twice and truly loved the feel of the country. It is amazing how far they have come since the true battles. I didn’t get to the Glens, but have fond memories of the Carrick-a-rede bridge in particular as it tested my fear of heights. Hope to see you at Fly Away Friday next friday!